Cedar Birdhouse Functional and Decorative for the garden or home decor. 8.25" high (peak of roof) x 6" wide x 5.5" deep. Wire hanger is approximately 3.5" high. Cedar is an ideal wood for outdoor use. Birdhouse is painted with exterior house paint. Wonderful workmanship. Item just as described. Exceeded my expectation! Birdhouse Outdoor made of Cedar. Functional and Decorative Birdhouse made of solid cedar ready to hang. 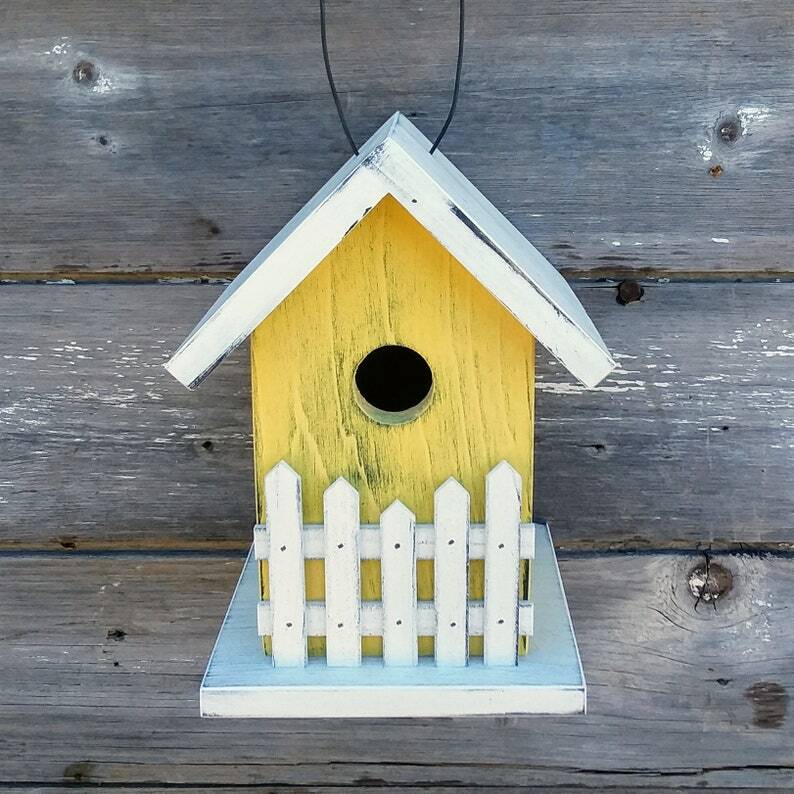 Classic birdhouse for your garden. Rusty Bird Birdhouse Outdoor made of Cedar. Functional and Decorative Birdhouse made of solid cedar ready to hang. Rusty Horse Birdhouse Outdoor made of Cedar. Functional and Decorative Birdhouse made of solid cedar ready to hang.